Even by the crazy standards of the consumer electronics industry in 2014, this will be a very busy fall for Apple. Starting on September 9th (a date recently confirmed), they will be introducing the iPhone 6, with releases of iOS 8 and OS X version 10.10 Yosemite coming later. Mac Edition Radio would also not be at all surprised to see new iPads (perhaps in new configurations) and the fabled iWatch. The biggest news is the iPhone 6, with anecdotal information indicating huge pent-up demand for the new smartphone. Widely expected to be thinner than the iPhone 5/5s and available in two larger screen sizes (4.7-inch and 5.5-inch), the iPhone 6 is expected to have at least some configurations with a sapphire crystal coated display. Other possible new features include an improved camera and near field communications (NFC). Since these iPhones will be new physical sizes, expect a plethora of new accessories to arrive in the next few months. The new versions of the operating systems may actually be more important than the iPhone 6 to Apple's future. Designed to closely link to each other via a technology Apple calls Handoff, iOS 8 and OS X version 10.10 Yosemite are substantially updated versions of Apple's flagship operating systems. As has been the norm recently, these updates will be available at no additional cost. 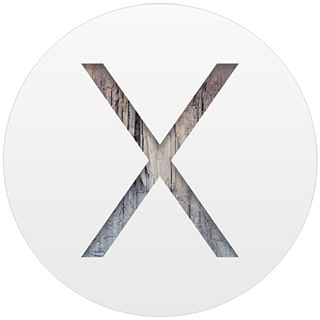 Because of this, we expect to see extremely rapid adoption of iOS 8 and OS X version 10.10 Yosemite. A little less predictable than the iPhone and the new operating systems is the possibility of new iPads this fall, perhaps in new configurations such as an iPad mini at a lower price point or an iPad with a display sized around 12 inches. Like every other tablet manufacturer, Apple is seeing significant challenges with convincing owners of older but still capable iPads to upgrade. Finally, there is a chance of finally seeing the iWatch released (or at least announced) late in 2014 and perhaps as early as the September 9th event. We believe that when Apple does release the iWatch, it will be both heavily fitness oriented and more independent of the iPhone compared to how dependent most current Google-based watches are on an Android smartphone.